Just heard that both north and southbound sections (in this area) of I-85 will be closed for the foreseeable future. Traffic is going to be crazy. 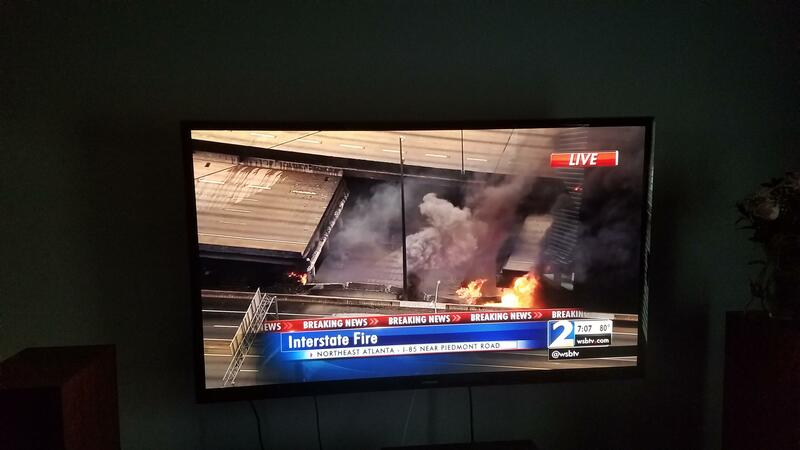 Just as SunTrust Stadium opens and the I-75 / 285 nightmare begins! This is a perfect storm of historically epic proportions! The magnitude of this can't be understated. And folks are still against building a northern arc??? This should open up some folks eyes. When you fight against public transit with all your might and then you also don't fund roads and bridges properly what else was supposed to happen? No bridge could survive that kind of fire. And folks are still against building a northern arc. This should open up some folks eyes. This was well and ITP. I see no reason as to why this will sway attention one way or the other on the 'Northern Arc'.